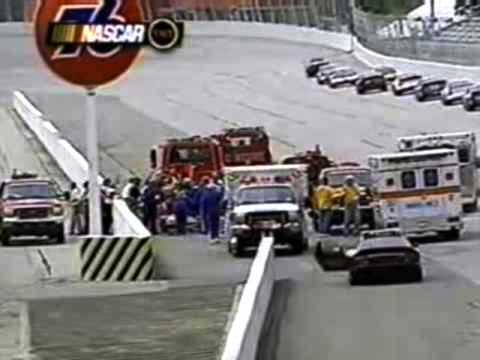 At Darlington Raceway in 2001, Steve Park experienced one of the most freakish accidents in NASCAR history. As the drivers drove around the track under caution, Larry Foyt raced to catch up to the rest of the vehicles, when Park accidentally pulled his steering wheel off, causing his vehicle to veer left across the track, where he would eventually be he T-boned by Foyt’s car. Park suffered serious injuries in the accident, which included massive brain damage and a permanent speech impediment. While it was a long road to recovery, Park never lost his determination.